Last November, a long-lost episode of Doctor Who was restored with archived audio and animation, finally giving fans a chance to see “The Power Of The Daleks”—the first adventure starring Patrick Troughton’s Second Doctor. This year, rather than restore an episode that was simply lost, BBC Worldwide has decided to restore an unfinished episode that never even aired. The episode, “Shada,” was originally produced in 1979, but an engineering strike disrupted filming and the BBC had to leave it uncompleted. 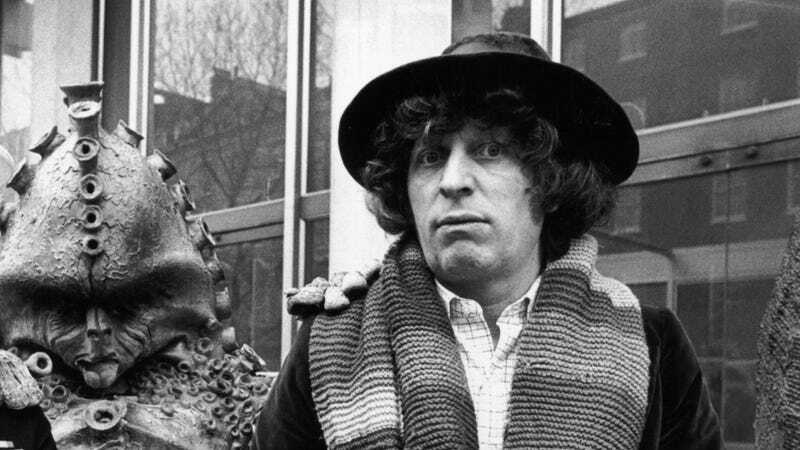 This was particularly tragic for Doctor Who fans, as the episode featured Tom Baker’s beloved Fourth Doctor and was written by The Hitchhiker’s Guide To The Galaxy author Douglas Adams. The newly finished episode combines the original live-action footage with new animated segments, as well as an additional scene in which Baker reprises his role as The Doctor. The plot concerns a villain named Dr. Skagra trying to reach a prison planet, the location of which is only known by an elderly Time Lord living on Earth. It’s also worth noting that “Shada” hasn’t been totally lost up until now. In 1983, when Baker couldn’t appear in the “Five Doctors” special, clips from “Shada” were used to bring him in to the story. Also, the existing footage was released in 1992 along with narration from Baker to tie it together, but this is the first time the actual story will be presented as intended—give or take the fact that some of it will now be a cartoon. You can see a trailer for it below.